smartvision's HRMS is a complete solution for any human resources department. It automates all HR functions and enables the leadership in the organization to make strategic decisions based on HR data and employee performance. It is an A to Z solution for the complete employee life cycle. It helps you to recruit the best talent, manage and improve their performance, pay according to performance, manage training and development, and reduce talent migration risks related to key positions byA better succession planning and frequent employees satisfaction surveys. Schedule reminders for performance reviews, benefit eligibility, probation periods, birthdays, anniversaries, training, reports, and other company events. Prompts can be set so you will never miss an important date or deadline again. Track all employee's performance reviews including past reviews. Select from the list of standard review forms or customize one for your company. Note a manager's comments under each employee. Automatically schedule the next performance or disciplinary review. Document all salary and job changes. View the salary history of each employee online including salary, bonuses and all deductions. 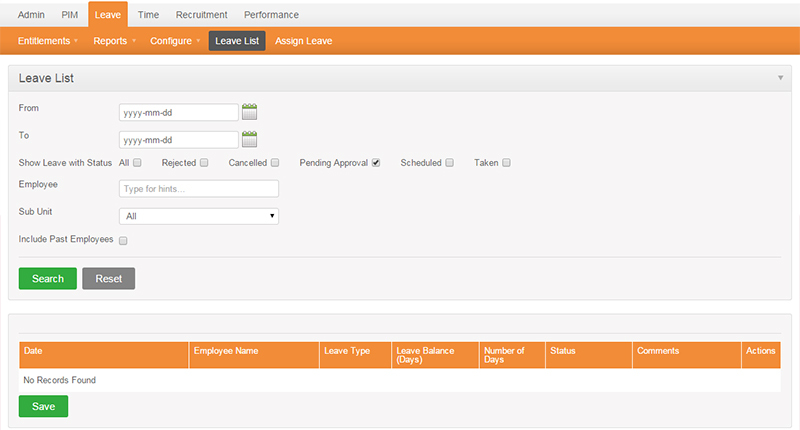 Quickly view work history such as promotions and length of employment in a particular position. Graphically view key Human Resource indicators for your company. What is the turnover percentage? Are your performance reviews done on time? Are employees passing their training courses? Is the salary budget within range? You don't have to work with a complicated spreadsheet again. Input your company's vacation and leave policies and track the number of days available based on years of service. Spot absenteeism issues instantly. Store and view all employee documents. View scanned images like resumes, applications, and accident reports stored by employee. You can also link to Word, Excel and PDF files. To save you more time we have included a number of standard letters and forms such as: Letters: offer of employment letters, welcome letters for new employees, termination letters. Forms: exit Interview, interview evaluation, employee survey, and many others. Reports, which will satisfy even the most sophisticated reporting requirements. Reports can be tailored by division, location, department, and position. All information may be exported to Excel for further customization. Track individual skills, store required courses, certifications, and grades received. Document all awards, accomplishments, and recognitions each employee has received over the years. Define benefit plans for each employee. Track their eligibility dates, premiums paid, beneficiaries, and multi-employer coverage. Maintain an accurate history of all incidents and accidents. Enter all medical assessments performed for company regulations. Communicate accurate information to employees and management. Gives you the ability to answer the most common questions asked by the staff, quickly. Control confidential information with various security levels for different users. Helps you comply with the privacy laws. Produce up to date organizational charts by exporting employee information to Visio or OrgPlus. This will provide a graphical view of the organization showing the reporting structure. Document all written and verbal warnings. Capture employee and supervisor comments plus disciplinary actions. Stores job descriptions, minimum skill requirements, and salary grade levels by position. Access to emergency contact information quickly in a medical emergency. Know which employee has what tools or equipment. This module will help the company control loss and ensure property is returned when an employee separates from the company. Easily export employee information to Microsoft Word or Excel. This functionality is great for customizing reports and importing information into other programs. Saves re-keying the data.